In the Northern part of Lithuania which is notable for its brewery traditions and the cuisine of noblemen, on the right bank of the Kruoja River, there is a manor of classist style which was included in the Record Book as the biggest complex of manor buildings that has survived to the modern day in Lithuania. Here one can delve into the manor style life any season – in summer, and during the nocturnal shepherding event, also during the Christmas season and while listening to the fairy-tale about the Nutcracker and stories about noblemen fon Ropus, about the miracles of technology of that time, a wind mill or even the moustache of the Lithuanian Robin Hood, Tadas Blinda. 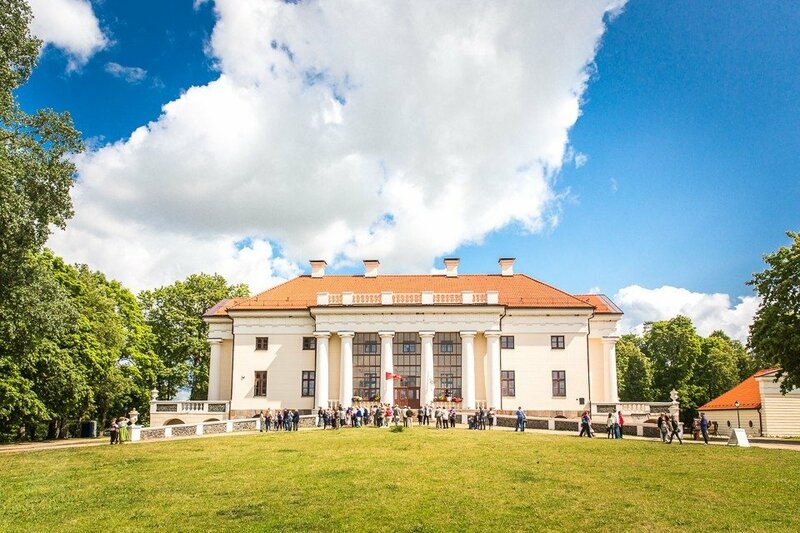 Pakruojis Manor has been announced the Destination of Excellence of Lithuanian Cultural Tourism 2017, a press release from the Department of Tourism states. "Pakruojis Manor is not only a pearl of local tourism but also has real potential to attract the interest of Europe. Symbolically, Lithuania has 7 UNESCO objects, and from now on it will have 7 EDEN destinations. It would be desirable to have them as baits for tourists who want to know about Lithuania as about an attractive country for travelling more. Recognition of a tourist destination on the European scale is extremely significant because it will not only increase the awareness about the location and will attract tourists from abroad, but will also contribute to the popularisation of Lithuania as a country that is attractive for travelling," Indrė Trakimaitė-Šeškuvienė, head of the Tourism Department congratulated the hosts of Pakruojis Manor who work continuously and put every effort in what they do and announced the manor the top destination for travelling around the world in 2018. The 5th place was taken by Raudondvaris Manor (Kaunas district) that attracts visitors by the stories of the countess Rozalia, about the Tiškevičiai's passion for citrus and restored recipe of orange soup. The 4th place was given to Užugiris Manor (Ukmergė district), where the first footsteps were found in the story of the first Lithuanian president Antanas Smetona and his wife (the couple liked to spend summers here). The 3rd place was taken by Ilzenbergas Manor (Rokiškis district) that has a biodynamic farm and is notable for the legends of the Love Island. The second place was given to the Castle of Panemunės that a pearl of Jurbarkas renaissance and invites visitors to look for treasure. The finalists of 2017 were also the complex of the White and the Red synagogues in Joniškis, the Marijampolė sugar factory that opens its door to tourists for sweet tours, and the mill of Šlyninka (Zarasai district), in which, as the rumours go, the spirit of the "Devil's Bride" is still alive and where guests are offered to taste pancakes made of freshly milled flour. Also, the authentic village of Kleboniškiai that is called the "small sister of Rumšiškės" (the park of authentic old Lithuanian village buildings and their complexes) as well as the complex of Burbiškis Manor which is notable not only for its blooming tulip event but also for its 5 km long alleys, ponds with 15 islands and 22 lion bridges (in Radviliškis district). The homestead of Paežeriai Manor, which houses not only the stories of six signatories of the Act of Independence of February the 16th but also the legend of the Belvedere Tower and the unrequited love of a count, was also among the candidates to become the most attractive destination of Lithuania's cultural tourism. 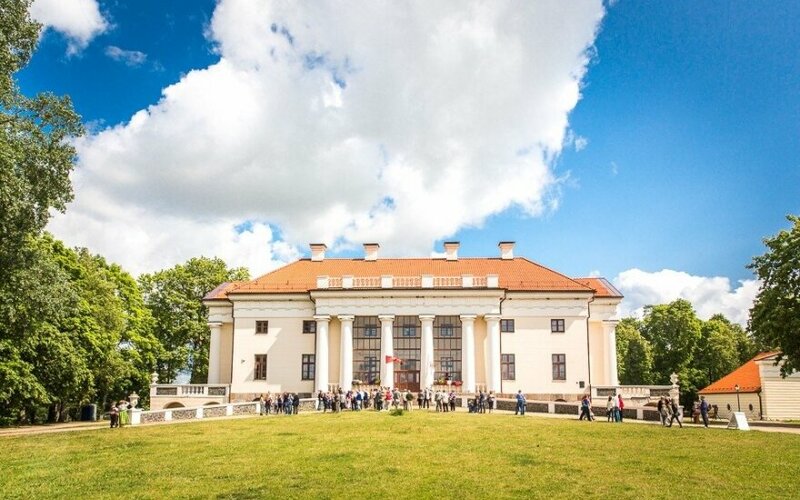 The Castle of Biržai which is the witness of the times in which the most influential noble families of Lithuania – Radvilos (Radziwill) – lived and flourished was also among the finalists. Former winners: the EDEN project "The Most Attractive Lithuanian Tourism Destination 2015. Tourism and Gastronomy" was won by the Lithuanian Tree Cake (Šakotis or Baumkuchen) which is baked in Druskininkai municipality; the winner of the EDEN in 2013 was Telšiai as a location suited for everyone; in 2011 the project "Homestead of Rokiškis Manor" of the public organisation Rokiškis Tourism and Information Centre was elected the 2011 Lithuanian Tourism Destination as the most exclusive building restored and adapted for tourism in Lithuania; in 2010, the winner was the project of Zarasai District Tourism and Information Centre "Zarasai Region – the Shore of the Sky on the Earth"; in 2009, the Nemunas Delta Regional Park earned the name of an exclusive location that conveys the harmony of nature, culture and tourism; and in 2008, the winner of the "The Tourist Destination of Lithuania. Non-material Heritage" was the Samogitian (Žemaitijos) National Park. EDEN (European Destinations of Excellence) awards are given to new, little known tourism destinations in Europe, namely, in 27 Member States and the potential candidate countries. The elected destinations commit to cherish social, cultural and environmental sustainability. By electing such places EDEN seeks to make people pay attention to the values, the variety and common characteristics of the European tourism destinations. It helps disseminate information about new locations of European tourism, creates conditions for sharing good practices in Europe and promotes relationship among the awarded locations. The election of the best cultural tourism project is implemented by the State Department of Tourism under the Ministry of Economy in implementing the 2017 EDEN project "Lithuania's Tourist Attraction 2017. Cultural Tourism".